Medicinal plants have been used widely for their bioactive ingredients as they are highly potent and have least side effects. This has led to a surge in demand for medicinal plants for producing higher quantity and good quality bioactive compounds. Symbiotic association of microorganisms with plants has been shown to affect the production and quality of active ingredients. However, the effect is not consistent and is seen to vary under different microbial associations. 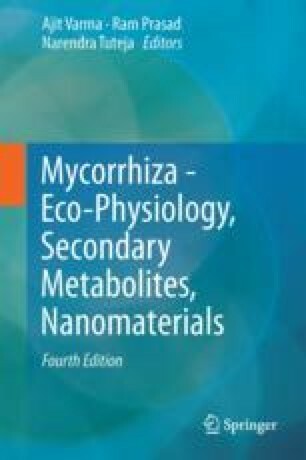 This chapter elucidates the studies on microbial symbiosis with medicinal plants and the effect of this interaction on medicinally important bioactive ingredients. The role of both nutritional and non-nutritional pathways in this interaction has also been discussed. Authors are grateful to DBT for partial financial assistance and DST for providing confocal microscope.